I was supposed to take my purple belt grading before Christmas last year but what with all the events that went on I didn’t get around to it and to be fair wasn’t really in the mood anyway, but since returning to karate again this year things have progressed so well that Bill and Sue felt that I was ready to take my grading. So tonight was grading time and although I felt pretty relaxed about the whole thing maybe I was a little too relaxed, the grading started a little nervously to say the least but once I got going the confidence came back a bit and things started going better. After about half an hour the grading was over and it ended with dinner terminology which is always a bit tough but I actually got in pretty well with 6 out of 7 correct ski maybe things are starting to go in there a little. After a minor anxious wait Bill announced that I passed but also said he’d seen me a lot better so I guess it was a bit of a bad day in the office but I did enough to get paid, turned out the scores weren’t as bad as I thought, 8/10 for basics, 8/10 for kata and 8/10 for kumite not the straight 10’s I’m capable of but could be a lot worse. 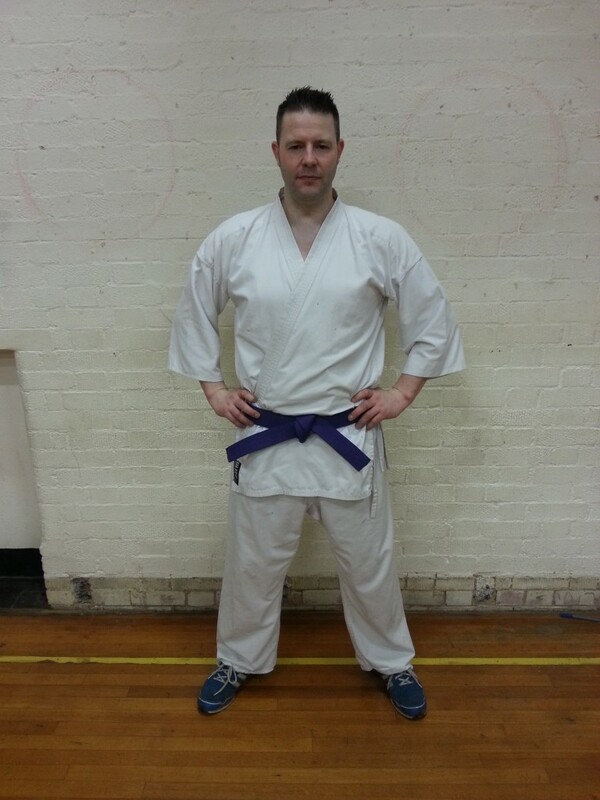 So in legendary karate you didn’t really start fighting till you reach purple grade so now the serious work starts now, the main aim idea brown belt by the close of the year. The hard work started tonight with me learning bassai dai a fairly upper belt kata, not so difficult just a matter of learning the moves!